This calculator will help you to compare the costs between a loan that is paid off on a bi-weekly payment basis and a loan that is paid off on a monthly basis. We also offer a biweekly mortgage calculator. Should You Split Your Monthly Payment? When you start paying back your loan payments, on longer loans (such as mortgages) the majority of your monthly payments will be interest. 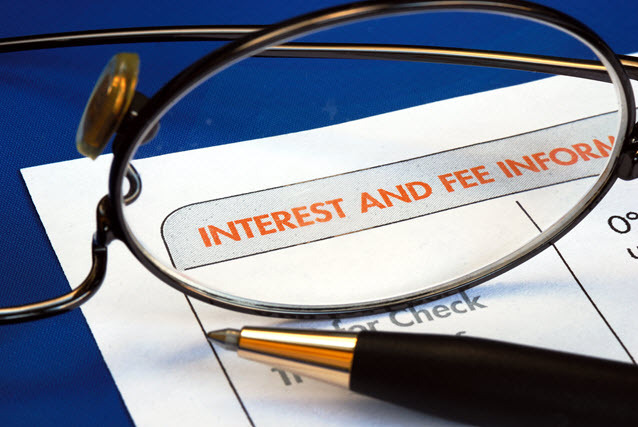 The larger your loan balance, the more interest you will pay. As your principle is paid down, your interest payments will decrease, as well, and the ratio of your payments will shift toward paying more principle each month. One popular way that some homeowners & other borrowers pay down their principle more quickly is to make biweekly payments. Instead of paying one monthly payment, they pay half the payment twice a month. The concept of a twice-monthly payment is a bit misleading. Bi-weekly is not the same as twice a month. There are 52 weeks in the year, which means that on a biweekly payment plan, you would make 26 payments per year. However, there are only 12 months in the year, and if you were making two payments each month, you would only be making 24 payments a year. By making payments every other week, you are actually paying an additional loan payment each year. Therefore, if your monthly payment is $1,500 a month, you would pay $18,000 a year with monthly payments. If you made payments every other week, you would end up paying $19,500 for the year. The primary advantage of more frequent payments is paying down your principle balance faster, reducing the amount of interest you pay and shaving years off your loan. For example, if you have a 30-year $250,000 mortgage at a 5 percent interest rate, you will pay $1,342.05 per month, not counting property taxes and insurance. You would pay $233,139.46 in interest over the life of the loan making the standard monthly payments. If you switched to a biweekly plan, you would pay only $189,734.44 in interest and will cut four years and nine months off the life of your loan. Depending on the terms of your loan, switching payment frequency could cut your loan by as much as eight years. You don't necessarily have to pay every other week to get the savings. You can just divide your mortgage payment by 12 and add 1/12th the amount to your payment each month. Therefore, if your regular payment is $1,500 a month, you would pay $1,625 each month instead. Some people also use tax refunds, performance bonuses & other similar streams to help create a 13th yearly payment. Make sure that any additional payments you make will be applied directly to the principle. The same sort of benefits which happen on mortgages also apply to other forms of lending. Typically other loans have a shorter duration for interest to accrue, but they also typically come with higher interest rates. Cars depreciate quickly & unsecured loans have higher rates of interest to compensate for the risk of non-payment. Unfortunately, switching may not be as simple as writing a check every two weeks. If you are already on an automatic payment plan, you will need to find out from your lender if you can cancel or change it. You will then need to find out if your lender will even accept biweekly payments, or if there is a penalty for paying off your loan early. Some services offer to set up bi-weekly payments for you. However, these companies may charge you a fee for the service (as much as several hundred Dollars), and they may only make the payment on your behalf once a month (negating any savings). Instead, you must make the payment directly to the lender yourself, and you must be sure that it will be applied right away and that the extra will be applied toward your principle. As long as you have strong will, it's better to make the payments directly instead of signing up for an automatic payment plan since it will give you more flexibility in case of lean times. Use the above calculator to determine how much you can save by switching to bi-weekly mortgage payments. You'll also find out how much more quickly you can pay off your loan. Play with different amounts to see how much you can save by paying more each month.